Well over 1000 people attended the Bersih 4.0 rally in Perth on August 29. 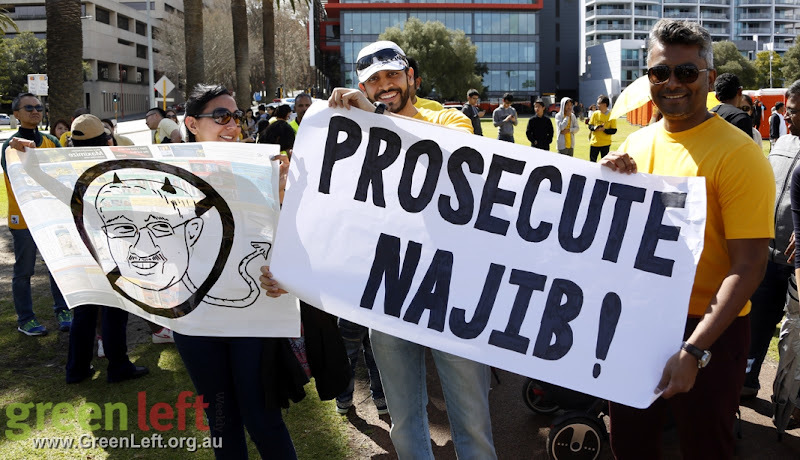 This was more than double the number who attended Bersih 3.0 in Perth in 2012. Mark Dapin is a rising star of Australian writing, having first made his mark as a journalist with a string of newspapers. He is a knock-about sort of working-class bloke, who brushed up against the British socialist movement before migrating, a bit of a boxer as well as a writer. Interviewing the light welterweight world champion Kostya Tszyu for the Sydney Morning Herald, Dapin famously persuaded Tszyu to let him spar with him in the ring. Tszyu didn’t muck about, breaking three of Dapin’s ribs. The University of Queensland Resistance Club has joined with other student clubs to call on the university administration to divest money from fossil fuels. The university has an undisclosed amount of money invested in projects whose emissions jeopardise the future of the young people that UQ is supposed to be educating. Come to a rally to save penalty rates on Saturday September 5 at 11am. Capalaba Sports Club, 113 Ney Rd, Capalaba. Organised by United Voice Queensland and supported by QCU. 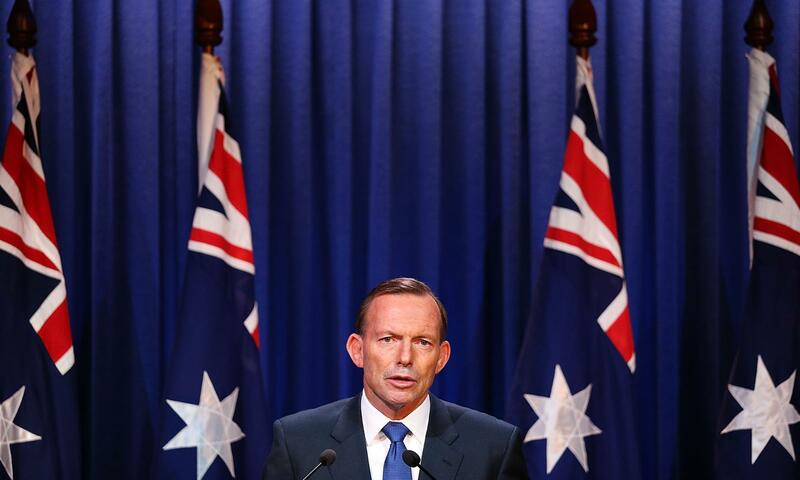 The only thing unclear about Abbott's likely response to a request to join the US air war in Syria is how many flags Abbott will stand in front of when he makes the announcement. Prime Minister Tony Abbott has denied reports his government lobbied the US to formally request for Australia to extend its involvement in the US-led air war against the Islamic State of Iraq and Syria (ISIS) — and bomb targets in Syria, not just Iraq. An emotional and highly charged stopwork meeting of hundreds of tram workers jammed into Trades Hall on August 27 to hear a report on their dispute with Yarra Trams. Yarra Trams and Metro Rail workers had called off a planned four-hour strike on August 21 in the hope that the companies would present the Rail Tram and Bus Union (RTBU) with a better offer. The better offer never came so the tram workers struck for four hours on August 27. This was the first tram strike since 1997. With industrial disputes breaking out on wharves and warehouses around the country, conflict is also brewing between those who kick the roundball on the nation's football (soccer) pitches and those who administer the game. Football Federation Australia (FFA) is locked in a long-running dispute with players — represented by their union, the Professional Footballers Australia (PFA) — over a new collective bargaining agreement. The PFA is seeking a better pay deal for the national men's team (Socceroos) and national women's team (Matildas), as well as an A-League salary cap and wage rise. It all began in 1835 when the British Empire sent a German-born naturalist and explorer to conduct geographical research in the South American territory it had colonised and named British Guiana. In the course of his explorations, a map was drawn that well-exceeded the original western boundary first occupied by the Dutch and later passed to British control.